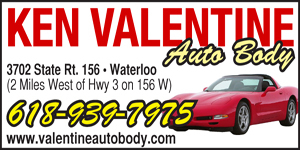 Waterloo Mayor Tom Smith knew the 125th anniversary of the founding of the city needed a remembrance just as special as the event itself. He contacted the recently formed Friends in Stitches Quilt Guild, and the result is nothing short of amazing. The guild is creating two quilts — one that will be raffled off and one that will remain on permanent display at the Monroe County History Museum. Each creation provides a unique homage to the community. 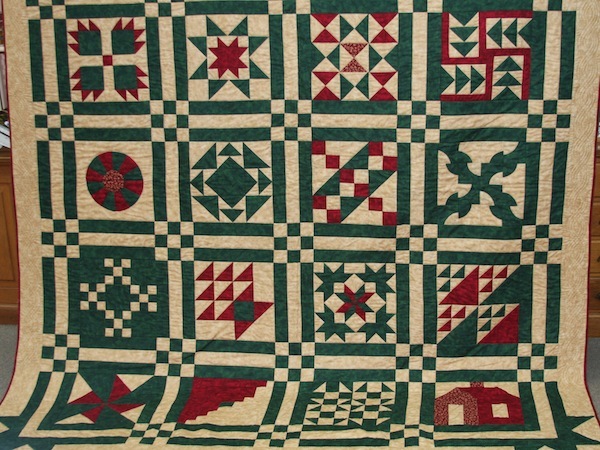 The guild, which meets monthly at Raccoon Hollow Fabrics in Waterloo, made the quilt for the raffle by piecing a montage of quilt blocks based on patterns commonly used in the late 1880s — flying geese, log cabin, bow tie, school house, broken dishes, bear paw, wagon wheel and more. Dozens of quilters from Monroe County and beyond have had a hand in making the quilts, from piecing to quilting and finishing. For the quilt that will be on display at the history museum, the guild took a slightly different approach. In addition to the historic blocks, they are working in screened images of some of Waterloo’s historic buildings and places like the Ziebold Fountain, the old city hall and fire house, Koenigsmark Mill and Waterloo Milk Company. Raffle tickets for the quilt can be purchased at Waterloo City Hall and Raccoon Hollow, 119 South Main Street, Waterloo. Mayor Smith said planners of the 125th anniversary celebration are still looking for old pictures of Waterloo, information on family businesses and other anecdotes for inclusion in an anniversary book. “These are things that will be lost to time if we don’t record them for our future generations,” he said. To submit a photo, information or story, contact City Hall at 939-8600.